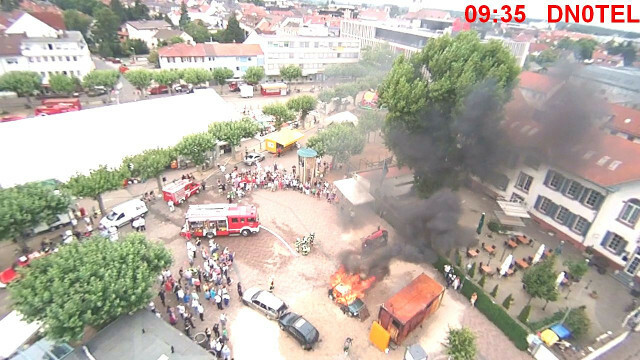 As emergency communications is called the assistance of radio amateurs in emergencies and disasters. 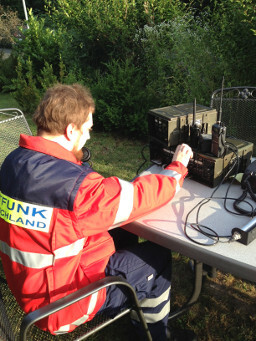 Radio amateurs can then support Emergency service or forward received emergency calls to them. I on a field telephone exchange for 10 field telephones and 2 analog trunks. On the switching unit is a 2m / 70cm radio, an SWR meter for CB and an CB handheld radio. In addition to the exchange unit you see a piece of the C-Phone (a mobile CB transceiver) and a base station antenna. In the future there will be a page about emergency communications in amateur radio here.